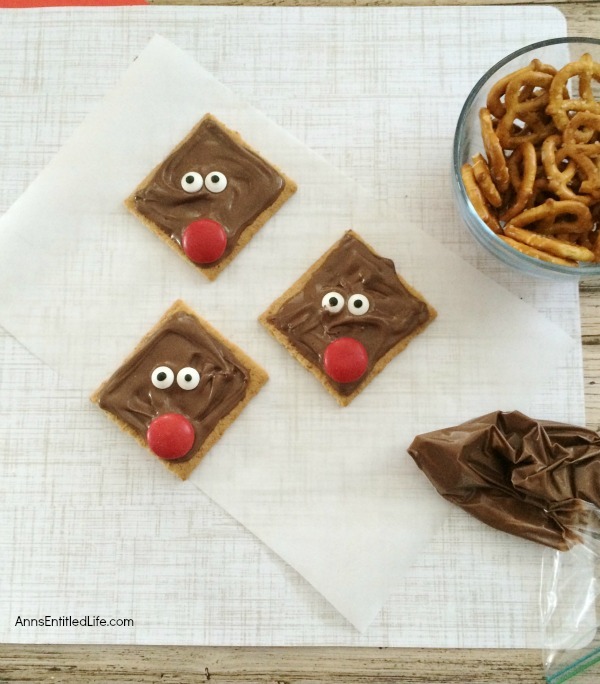 A super simple cookie recipe you can make with your children or grandchildren. 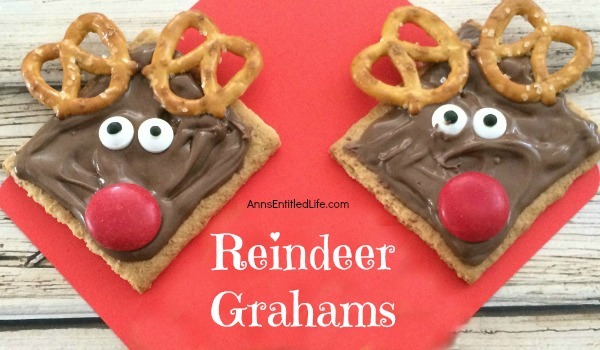 These Reindeer Grahams are an adorable, tasty and just plain fun holiday treat! • Pour melted chocolate into a piping bag (or use a ziploc bag. Place it in a glass for stability. Once filled, cut off one corner). • Break your Graham crackers in half to form a square. 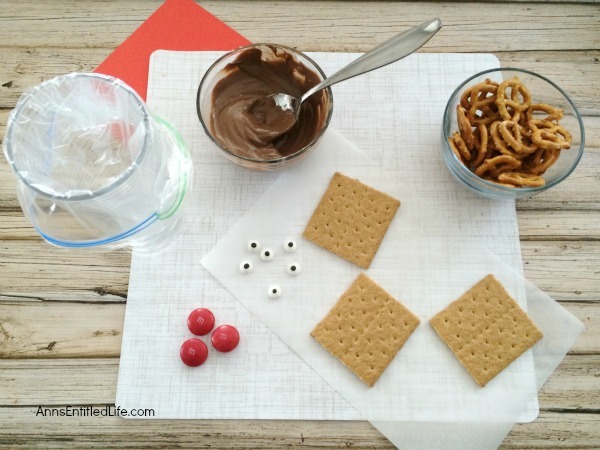 • Frost your Graham cracker square with melted chocolate. 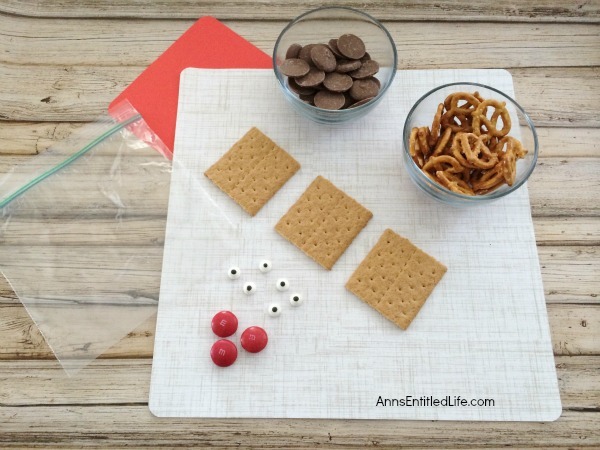 • Turn your Graham crackers at an angle, place 1 large red M&M at one corner. • Place two eyes above the red M&M. 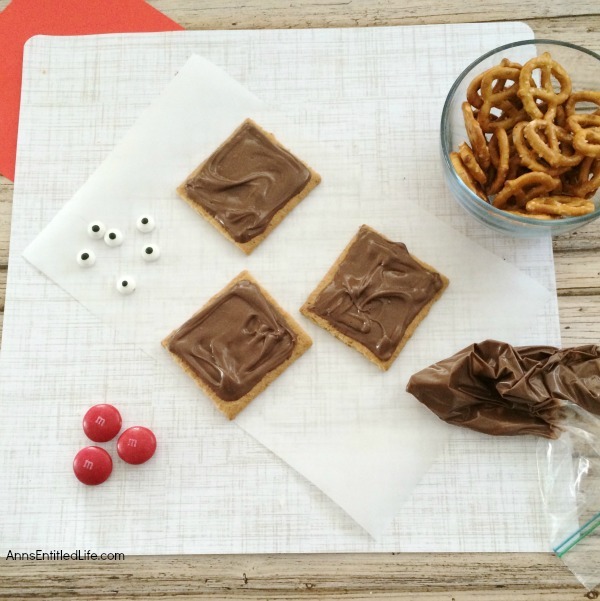 • Finally place 1 pretzel twist on each side of the top of the Graham cracker. • Allow chocolate to dry completely! 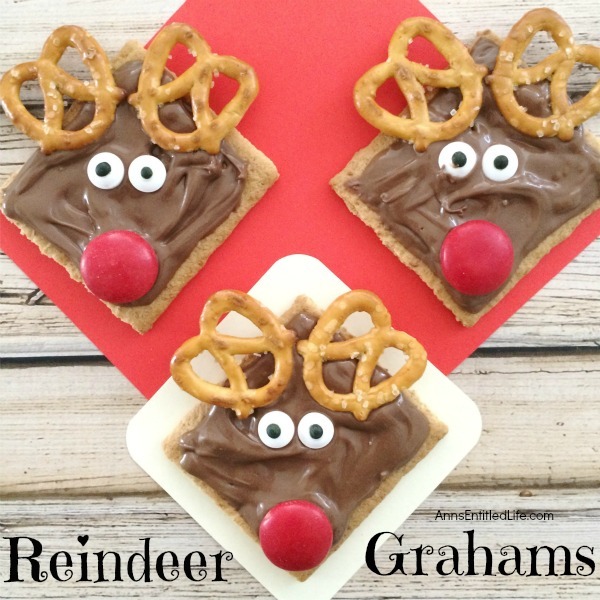 • To print the Reindeer Grahams Cookie recipe click here. • Pour your candy melts into a microwave safe dish. • Cook on medium heat (50% power) for 2-3 minutes or until melted, stirring every 30 seconds. OMG, these are priceless!! 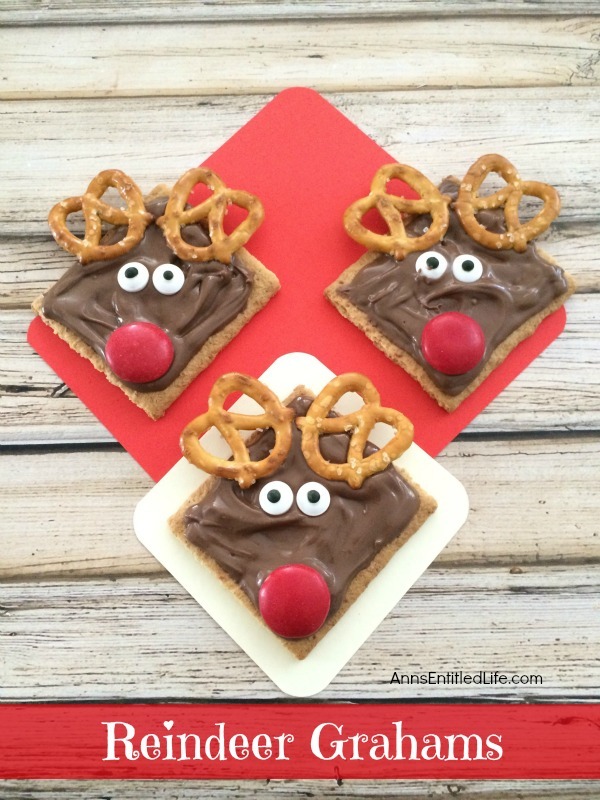 So making these w/ my granddaughter Ann, thank you!! I hope you both like them, Didi!